Ms Ellis used the South Lake Child Care Centre visit to encourage other centres to apply for the funding. 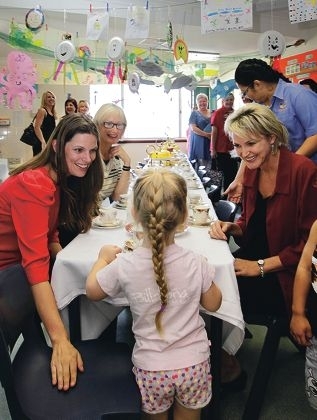 ‘The Big Steps campaign is all about better supporting the child care profession so that children receive the very best quality of care in the child care sector,’ she said. United Voice acting secretary Amber-Jade Sanderson said the funding would help retain important staff. “Early childhood educators love the work they do,’ she said. ‘They play an invaluable role in the development of our children’s lives for very low pay ” they receive around $18 per hour. ‘The funding commitment will give the sector a much needed boost. For more information on the funding, visit www.deewr .gov.au/early-years-quality-fund .